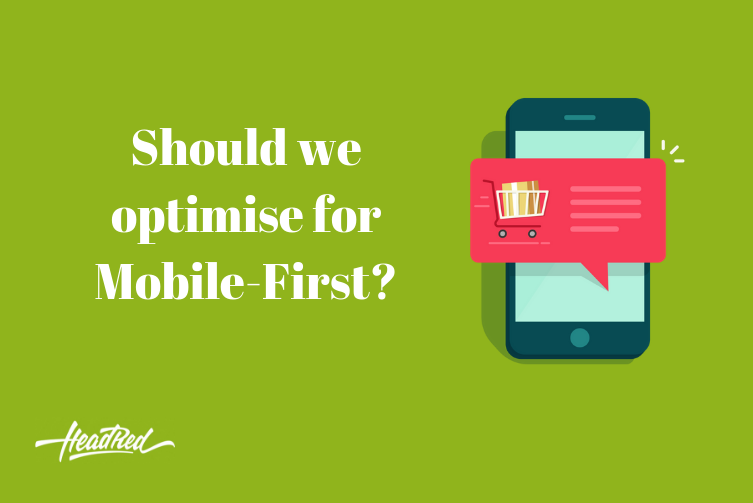 I recently read a post criticising the concept of ‘mobile first’ in that it’s not the way to deliver a product offering to customers, and therefore efforts and budgets shouldn’t be placed there. I’m not saying this is wrong, but it’s definitely not accurate. Mobile-first doesn’t mean mobile only, and I think that needs to be more widely understood. It means that there needs to be a priority for mobile in line with user activity. The marketing mix has evolved at a rapid pace over recent years; currently, it is the best that it’s ever been with the mix of the latest technologies and concepts. Channel habits are changing, and mobile commerce is increasingly popular with 17% of purchases now taking place on a mobile device. PwC estimate that mobile buying will soon surpass all desktop based buying. Not something to sweep under the carpet then. That post I read was sort of right, though. Mobile-first only won’t work. Why? Because the latest technologies work so well in tandem with old school marketing mechanisms. Traditional aspects of the marketing mix aren’t obsolete, mobile is just another medium for consumers to connect with. Companies need not set up brand new departments to cope with this, but allocating a specific budget for mobile-first development and digital marketing is important, especially so for e-commerce sites. To summarise: mobile first is not the only way to gain leads and to turn site traffic into conversions, making your sales sheet look prettttttty healthy, but it is increasingly becoming one of the most highly used channels for product/service discovery. Want some help with getting your site optimised for mobile? We’re always down for coffee and a chat. Get in touch.